The kitchen is often the heart in the house and apartment. Here comes the whole family together, sitting together with friends or spending a lot of time cooking. 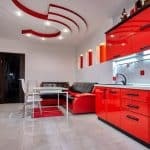 Cheap tips to beautify the kitchen are therefore an optimal help. The wishes of the customers with regard to the kitchen take on some utopian traits today. Utopian not because they can not be implemented, but much more for the reason that the costs are often not in proportion to the personal budget. 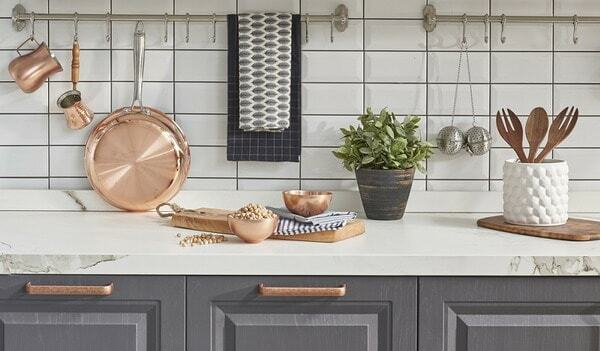 The problem with the kitchen is also simple, that there are so many possibilities and details. Often customers lose track of what costs are incurred at all. This begins with the division of the room, ranging from the wall paint to the furniture and electrical appliances that are to be housed here. Architects then get a budget and are faced with the question of how they can implement the wishes. Especially interior designers often face this challenge. But what is there for solutions here? The secret is upcycling. This trend describes the possibility of making something new out of already existing things. But other helpful tips can also be helpful when it comes to finding a good solution for the customers. 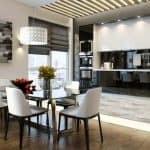 Existing walls are often an important issue for architects when it comes to putting together and designing the kitchen area. Not much can be done here and it must be taken what is available. A very good variant for this problem is the beautification of the walls. Away from classic woodchip wallpaper and eye-catching designs. Color does not always have to be introduced by means of a complete coat, which entails high costs for the customer. It often suffices to work with small accents, such as the wall behind the kitchen unit. Tile mirrors can be just as good a solution as finished kitchen back walls , which can still be adjusted. Often, even small changes that can be implemented very well with a small budget are enough to ensure customer satisfaction. Architects can also plan the walls in such a way that they can generally be changed without much effort. This is an aspect of kitchen planning that needs to be thought through. For the customers, however, a good way to keep the kitchen flexible. Almost every color requirement can be fulfilled – from fresh soft orange to red to intense black – let your imagination run wild. A classic white or light cream tone is doing well. Also interesting is the view of the kitchen fronts. What is already available in the kitchen that is to be changed? This question arises right at the beginning. Therefore, it is important for architects to know what possibilities exist for implementing different ideas. Old kitchen fronts, if they are still good in quality, can survive. 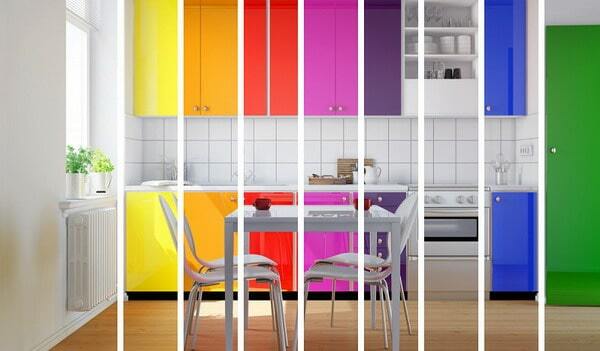 With paint, a whole new kitchen can be made out of it. The use of primer and paint does not need many costs. If no paint is desired by the customers, then alternatives can be offered. This includes, for example, using decorative fabrics or papering the fronts. The next alternative would be to look at the interchangeable fronts. 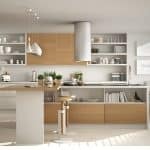 While a completely new kitchen quickly pushes the budget to a limit, it makes sense to look for interchangeable fronts. Even with a small budget, for example, individual doors can be exchanged. In this way it is also possible to set accents very well. So the doors can have a different color or pattern. This distracts from the age of the kitchen and instead gets a whole new design. A fresh coat of paint for the entire kitchen often does wonders – whether in white or a tinted shade in cream, peach or vanilla. Also, the exchange of individual objects can be a very good opportunity for a low budget to achieve optimal effects and thus to benefit from the satisfaction of the customer. In a kitchen that is already getting old, the age often shows in similar places. So the hood is already provided with splashes of grease, the worktop has numerous scratches or the sink comes from a time when plastic was still trendy. 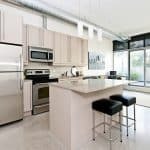 Experienced architects capture the areas, which provide for a completely different kitchen picture by changing, usually quite fast. The inspection of the kitchen can therefore bring some advantages. It is good if architects already have providers in mind, whose products can help to change the kitchen. For example, there is the possibility to go in the vintage direction or work a lot with white. White is a great way to make it look bigger, especially in small kitchens. A white sink or a white extractor hood give a completely different ambience. They are not too expensive to buy and can be replaced quickly. This also saves costs for working time. 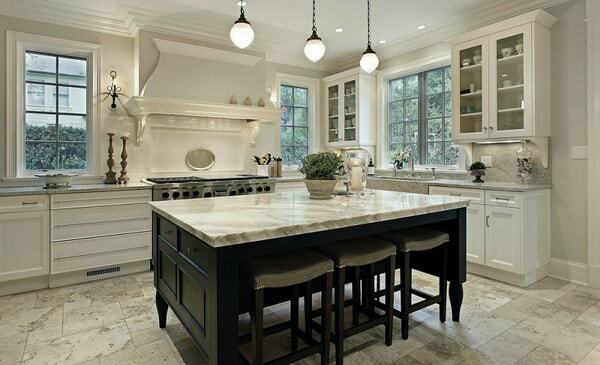 When beautifying the kitchens, interior designers can also resort to the lighting and make many changes with it. Often, older kitchens are characterized by a certain darkness, which is related to the heavy and dark furniture. Therefore, it is important to provide a better solution through small light areas. For example, LED technology is already a very good point of contact today . The reason for this is that it is particularly favorable in electricity costs and there are very small and narrow lamps with a high luminosity. 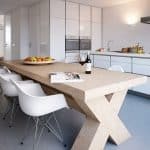 Small strips, which are placed under the kitchen cupboards and illuminate the work surface, make the kitchen look much brighter and friendlier. The lamps themselves can make for a different look in the kitchen. The large lamp as center over the table or in the middle of the room is a real eye-catcher, which can distract from a cheap equipment. Tip: Small shelves can also serve as a basis for the use of lights. These are simply attached invisibly to the wall shelves, creating small light sources in the kitchen that provide a warm light. 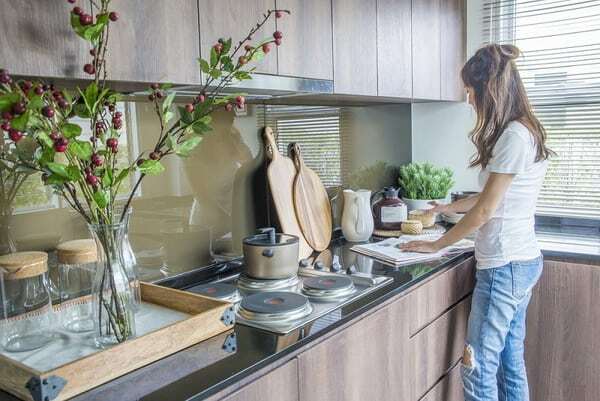 Ceramic instead of stainless steel sink, solid wood or granite worktop instead of hardware store or design hood: in the field of accessories, there are many ways to completely change the look of the kitchen again. Even with a small budget, you can often do something like changing your flushing fitting with a high fitting with a flexible hose for the shower head or a high-quality other design fitting. 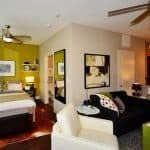 When planning interior design by interior designers, customers often assume that they are not only concerned with the rough details, but also look at the decorative elements. This is not such a big challenge, because kitchens are very popular when it comes to this area. An important point is plants. Crops for the kitchen have two positive effects. They are used to serve as herbs and to aid in cooking. But they are also a very nice eye-catcher and can be well used as an upgrade. On the windowsill, on the wall or on the shelf – there are several places that offer themselves directly to accommodate the plants here. In the further decoration, it makes sense to look, which corresponds to the taste of the customer. 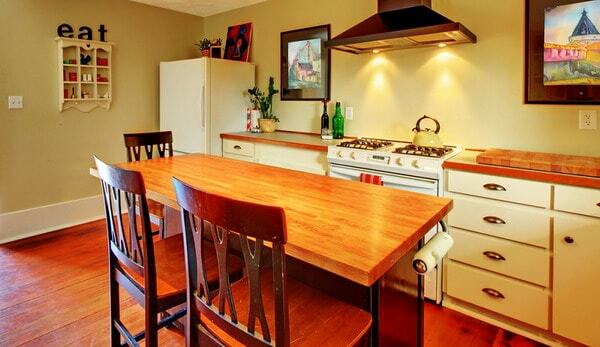 Does he want a clear and modern kitchen or is it more in the direction of country style? The replacement of door knobs on the cabinets is as cheap and effective as the use of blackboard or decorative tiles. It is important, of course, only that the decoration must fit well with the overall picture of the kitchen. 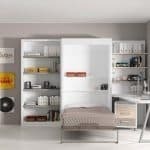 Customers are often delighted when it comes to decorative elements that they can extend, such as magnets for the refrigerator or a certain picture style on the wall.